1. 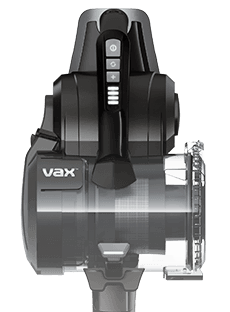 This website is operated by Vax Limited (“we”, “us”, “our” or “Vax”) and these terms (“Terms”) apply to goods supplied directly to you by Vax Limited via this website. We are registered in England and Wales with company no. 1341840 ("Vax"). Our registered office is at 2 Colmore Square, 38 Colmore Circus, Queensway, Birmingham, B4 6BN. Our main trading address is 2 Colmore Square, 58 Colmore Circus, Queensway, Birmingham, B4 6BN. Our VAT number is GB747876269. 12. Where you choose to purchase goods via Vax’s easy Pay plan (the “Plan”) you acknowledge and agree that on the date that you purchase the goods under the Plan you are committed to paying for the goods in the instalments as specified on the goods page, your basket and the checkout page relating to your order all as displayed on the Vax website. 15. Where you purchase the goods using the Plan, you will not be the legal owner of the goods until Vax has received cleared funds from you for the total amount of the purchase price. 16. If you fail to meet the due dates for payment under the Plan, Vax reserves the right to pass your details to its credit control team to recover any money due from you to Vax. 19. Every effort will be made to deliver the goods as soon as possible after your order has been accepted and in any event within 30 days of your order. However, Vax will not be liable for any loss or damage suffered by you through any unavoidable delay which is beyond our reasonable control or which does not arise due to our negligence. If there is a delay, we will inform you about it as soon as possible. Please note for any orders placed between the 24th November to 1st December there may a delay on some orders due to anticipated high demand over these days. We will endeavour to deliver your order in line with your specified requirements You will receive an email when your order has been processed and despatched. Please allow up to 5 working days to receive your order. 32. This warranty does not apply to any defect in the goods arising from: fair wear and tear (such as worn out filters, belts, brush bars and fuses); misuse; blockages; wilful damage; accidental damage; careless operation; negligence by you or any third party; use otherwise than as recommended by Vax and the goods’ user guide; failure to follow manufacturer's instructions; use of parts, accessories or consumables which are not genuine Vax products; faulty installation (unless carried out by Vax); any alteration or repair carried out without approval from Vax; or use of the goods for anything other than normal domestic household purposes. 37. All comments, queries and requests relating to the use of your information are welcomed and should be addressed to Vax Limited, Quillgold House, Kingswood Road, Hampton Lovett, Droitwich, Worcestershire WR9 0QH, telephone 01905 795959, fax 01905 799655 or by email to info@vax.co.uk.